The Department of Physics at John Carroll University invites applications for a Visiting Assistant Professor of Physics starting the Fall of 2019, with the possibility of renewal for a second year. John Carroll University is a private, coeducational, Jesuit Catholic university founded in 1886 and dedicated to developing women and men with the knowledge and character to lead and to serve. The University is located in University Heights, Ohio, an attractive residential suburb 10 miles east of downtown Cleveland. John Carroll University is one of 28 Jesuit universities in the United States and has been listed in U.S. News & World Report magazine’s top 10 rankings of Midwest regional universities for more than 25 consecutive years, and is currently ranked #4 in this category. The Department of Physics offers multi-track Physics and Engineering Physics Bachelors programs, and has an active partnership for a 3-2 engineering dual degree program. All students majoring in the department are required to undertake a significant research or design capstone project under the guidance of a faculty member. Additional information, including current department faculty research areas, can be obtained at http://sites.jcu.edu/physics. Questions about the department or position can be directed to Dr. Jeffrey Dyck, Chair, at jdyck@jcu.edu. 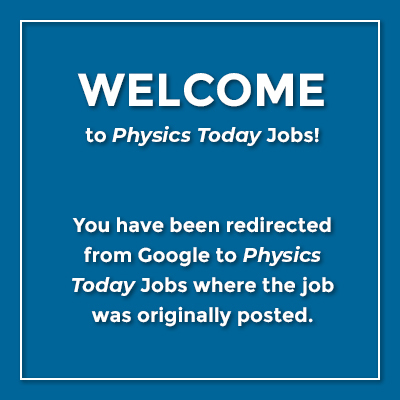 Required Qualifications: A Ph.D. in physics, engineering, or a closely related field is required by the time of appointment, and some teaching experience is desirable. The area of specialization is open. Teaching expectations include introductory physics lecture and laboratory, as well as advanced physics or engineering physics courses. Successful candidates will have a commitment to undergraduate education in a liberal arts environment and be familiar with pedagogical practices informed by physics education research, including active learning approaches. Preferred Qualifications: Prior teaching experience, and a demonstrated interest in mentoring advanced students in research capstone projects will be an advantage. Special Instructions to Applicants: Please apply online at: https://jcu.peopleadmin.com/postings/1692. Applicants are required to upload (i) a cover letter briefly describing their background, experience, and interest in working in a liberal arts environment, (ii) a c.v., (iii) contact information for at least three references (at least one of which can comment on your promise as a teacher), (iv) unofficial undergraduate and graduate transcripts, and (v) a single, combined document including both a statement of teaching experience and interests and a brief statement of research interests including how undergraduates could be involved (submitted under the “Portfolio” document heading). EEO Statement: John Carroll University is an Affirmative Action, Equal Opportunity Employer. The University is committed to diversity in the workplace and strongly encourages applications from women and minorities, veterans and individuals with disabilities. John Carroll University is a private, coeducational, Jesuit Catholic university founded in 1886 and dedicated to developing women and men with the knowledge and character to lead and to serve. The University is located in University Heights, Ohio, an attractive residential suburb 10 miles east of downtown Cleveland. John Carroll University is one of 28 Jesuit universities in the United States and has been listed in U.S. News & World Report magazine’s top 10 rankings of Midwest regional universities for more than 25 consecutive years, and is currently ranked #4 in that category. John Carroll University is an Affirmative Action, Equal Opportunity Employer. The University is committed to diversity in the workplace and strongly encourages applications from women and minorities, veterans and individuals with disabilities.